Dr. Yun Qian, atmospheric and climate modeling scientist at Pacific Northwest National Laboratory, was invited to organize and direct an international workshop on "Uncertainty Quantification in Climate Modeling and Projection" in Trieste, Italy. Drawing on international interest nearly 70 scientists and students from some 30 countries around the world attended the five-day workshop at the Abdus Salam International Centre for Theoretical Physics (ICTP) in mid-July 2015. The workshop was sponsored jointly by ICTP and the International Union of Geodesy and Geophysics (IUGG). Funding for the ICTP comes from the United Nations Education, Scientific and Cultural Organization (UNESCO) and the International Atomic Energy Agency (IAEA). In recognition of his leadership and expertise in climate research, modeling, and uncertainty quantification (UQ), both organizations and the IUGG, supported Qian. He and his co-conveners set the vision and objectives, developed the conference program and website materials, and chose speakers, poster presenters, and discussion leaders for the event. Predicting climate change is one of the most complex problems facing scientists who have been striving to understand climate system behavior and improve Earth system models for years. The overall uncertainty in climate projections, however, remains relatively unchanged. As climate models become increasingly complex, it becomes extremely challenging to reduce uncertainty. Accurately interpreting climate simulations and quantifying uncertainty is a key to understanding and accurately modeling atmospheric, land, ocean, and socio-economic phenomena and processes. Communities must rely on the accuracy of climate models to prepare for and adapt to potential climate change scenarios. Such information should include both well-characterized and well-quantified uncertainty. Uncertainty Quantification (UQ) entails much more than attaching defensible error bars to predictions. Topics discussed in the workshop covered Bayesian inference, Markov Chain Monte Carlo, emulation, and global sensitivity analyses, etc. Seminars addressed scientific issues affecting uncertainties in climate projections. The UQ workshop underscored the importance of recognizing and quantifying uncertainty in climate models to enhance the validation of climate projections and impact assessments. Many underdeveloped nations lack the infrastructure and resources to recover physically and economically from climate-change extremes, such as storms, drought and other natural disasters. For this reason, UNESCO provided funding to bring 30 representatives to the workshop from countries in Africa, Asia and South America whose populations are especially vulnerable to the effects of climate change. In such nations, support for basic water and energy needs is a challenge. Often their population centers are located near bodies of water where unexpected flooding and other weather-related events can destroy property and threaten lives. Fragile energy facilities, public utilities and ecosystems are also frequently vulnerable to weather extremes and the impacts of climate change. As research leaders in developing and using models to provide scientific insights into weather and climate change, Qian and others are striving to understand uncertainty in systems and modeling to improve projections and help prepare vulnerable regions for potential climate change impact. Uncertainty quantification is also a focus for the U.S. Department of Energy (DOE) as eight national laboratories and six partner institutions collaborate to develop and apply the next generation of climate and Earth-system models to the challenges and demands of climate-change research. DOE's Accelerated Climate Modeling for Energy (ACME) project is focused on how global water cycles, water resources, biogeochemical cycles, and rapidly changing ice or snow interact with climate systems and climate change. The research agenda of DOE's Office of Science (SC) includes the Scientific Discovery through Advanced Computing (SciDAC) project addressing critical gaps in scientific computing and the resources needed to fill them. The program supports research that enables computing at extreme scales, as well as understanding extreme-scale data to enhance the speed and accuracy of climate models and other scientific calculations. Scientific modeling and simulation have become crucial for research problems that are insoluble by traditional theoretical and experimental approaches that can be both time consuming and expensive. Information presented at the UQ workshop will benefit both the SciDAC and ACME projects by providing more efficient evaluation and calibration strategies for high-resolution models like ACME. 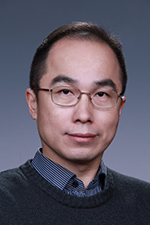 With support from multiple DOE SC projects, Qian and his team at PNNL have published a dozen peer-reviewed papers in the past three years regarding UQ methodologies and their application in regional and global climate modeling. Topics have included sensitivity analysis, calibration, and optimization for cloud and convection systems as well as aerosol processes. The team is providing the scientific expertise and experience to help researchers achieve the next milestones in climate modeling.